Archives : HOMING PIGEON FORMATION - 25/02/02011. HOMING PIGEON FORMATION – 25/02/2011. It is that time of the year when the market awaits the honorable FM to deliver the budget and throw some surprises. This time the expectations from the Budget are at an all-time low. The global crude oil prices are back in triple digits, primarily to growing political uncertainty in Egypt and now Libya. High crude prices spell bad news for the growth oriented emerging markets like ours. Local factors too are gloomy, what with corruption scandals running wild and inflation refusing to bow down. The FM will have his work cut out as he will have to walk the tight rope and maintain a balance between controlling inflation and at the same time not allowing the growth to falter, besides trying to reduce the fiscal deficit. These are challenging times with the expectations being at rock bottom levels. It is now that the FM needs to act and throw some pleasant surprise in the budget. We keep our fingers crossed. The Sensex opened the week at 18238, made a high of 18457, a low of 17469 and closed the week at 17700. The Sensex lost 511 points on a weekly basis. Similarly Nifty opened the week at 5456, made a high of 5526, a low of 5232 and closed the week at 5303. The Nifty too closed with a loss of 155 points on a weekly basis. Both the indices have formed a Homing Pigeon formation on the daily charts, which is a bullish reversal pattern. This is a special case of Bullish Harami. The pattern along with the long lower shadow formed on Friday suggests that there exists buying support at lower levels. On the weekly charts, there is a Stick Sandwich formation over the last three weeks, which is also a bullish reversal pattern. This pattern requires a confirmation in the form of a white candle in the next week. On Thursday, both the indices fell with a gap. This gap (Sensex 18150-18135 and Nifty 5427-5423) can be considered as a Falling gap and this gap is likely to provide resistance for both the indices, when the indices try to move higher. 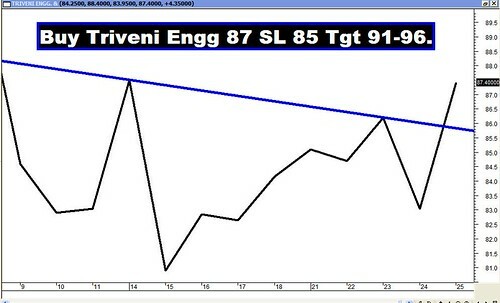 Moving Average Analysis suggests that the trends in all time frames continue to be down. Market is below the 200dma (Sensex – 18800 and Nifty – 5643) and as a result the long term trend is down. The market continues to trade well below its 50dma (Sensex – 18995 and Nifty – 5690) and 20dma (Sensex – 18061 and Nifty – 5409) and as a result the medium term as well as the short term trend continues to be down. Since there is a bullish reversal pattern called Homing Pigeon on the daily charts with long lower shadows, we take the liberty of assuming that 17469 for the Sensex and 5232 for the Nifty might hold as temporary bottom. If that is the case, then we can consider the retracement levels of the immediate fall from 18690 to 17469 for the Sensex and 5599 to 5232 for the Nifty. The corrective levels in that case will be 17935-18079-18224 for the Sensex and 5372-5415-5459 for the Nifty. If we consider a fall of a higher degree from 19340 to 17295 for the Sensex and 5801-5177 for the Nifty, then the correction levels will be Sensex 18076-18318-18559 and Nifty 5415-5489-5563. We observe that the 50% Fibonacci retracement of the immediate fall coincides with 38.2% of the higher degree fall (Sensex 18079 and Nifty 5415). Besides this, the 20dma (Sensex 18061 and Nifty 5409) and the Falling gap (Sensex 18150-18135 and Nifty 5427-5423) also add to the resistance. Thus we have a strong resistance zone at Sensex 18061-18150 and Nifty 5409-5427. It is possible that both indices might move lower after testing the resistance zone. Both the indices will then retest the bottom made two weeks back i.e. Sensex 17295 and Nifty 5177. In Bear markets, the bottoms are normally breached and if that happens then we have to find lower support zones. Hence if we consider the medium term rise from 13219-21108 for the Sensex and 3918 to 6338 for the Nifty, then the retracement levels will be 18094-17163-16233 for the Sensex and 5414-5128-4842 for the Nifty. If we consider the entire rise from 7697 to 21108 for the Sensex and 2252 to 6338 for the Nifty, then the correction levels for the Sensex will be at 15985-14402-12820 and 4777-4295-3813 for the Nifty. Thus in case, the low of Sensex 17295 and Nifty 5177 is breached, then the Sensex is likely to test the cluster of supports emerging between 16233-15985 and Nifty between 4842-4777. Oscillators are painting a mixed picture. MACD, even though in negative territory continues with its Buy signal. The ROC is positive and hence in Buy mode. RSI has dropped to 38 and continues in Sell mode. Stochastic Oscillator has given a Sell signal as %K has cut %D from above, even as %K enters oversold territory. Money Flow is at 37 and continues in Sell mode. OBV is a lead indicator and has just given a Buy signal. ADX has fallen to 22 suggesting that the downtrend has lost some of its strength. The Directional Indicators are in Sell mode as +DI is below –DI. For the March series, strong Call writing is seen at 5500 strike and Put writing at 5000 strike. This suggests that 5200 on the downside and 5500 on the upside should act as immediate support and resistance respectively. The Trendline Resistance for the Sensex is at 18433. The Trendline Support is at 17379. The Trendline Resistance for the Nifty is at 5523. The Trendline Support is at 5201. For the week ahead, Sensex will find Support at 17373-17025-16684 and will find Resistance at 18135-18542-18954. For the week ahead, Nifty will find Support at 5187-5070-4961 and will find Resistance at 5423-5556-5690. Once again majority of the targets were achieved except for Patni which is likely to reach the target this week. The star performer for the week was DLF (which fell by 10%). Strong directional move is expected in either direction. Also Volatility is likely to increase. In such times it is advised, to create a Long Straddle (ATM Call & Put) or a Long Strangle (OTM Call & Put). Since there will be lot of uncertainty, it is advised to hedge one/s position. One can use Nifty Futures to hedge.